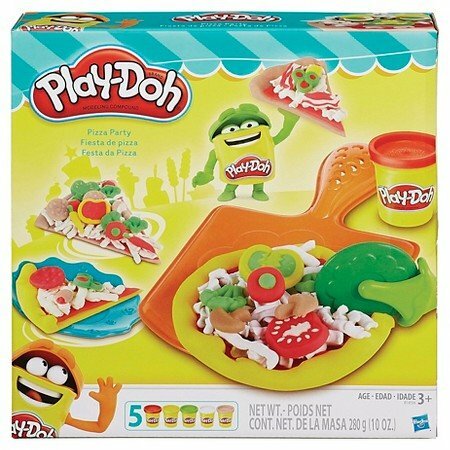 Play doh sets have been used for a long time to entertain and educate kids. There are many different types of doh sets available on the market today. These products come with different themes and options, and it is now easy to find a set that matches your children’s interests. Make sure you study your child’s interests for some time before settling for a particular doh set. You should also consider the safety of the of the product. The doh itself is completely safe for all children as it is designed to be non-toxic. However, the accompanying accessories might be dangerous for children. 1.12 What are the Educational Benefits of Playing with Doh? 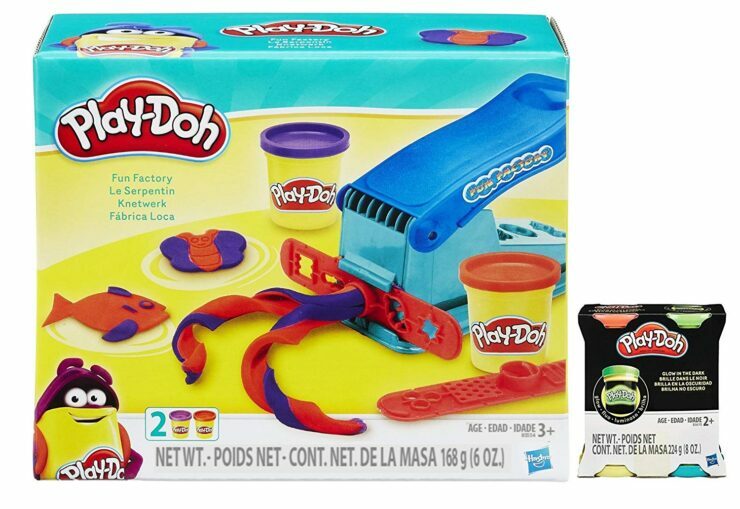 1.13 What Kind of Play Doh Set Will Interest my Child? 1.16 Is Play Doh Safe for All Children to Use? 1.17 Can I Make More Doh to use with the Accessories? • The ease of cleaning- The one you pick and choose should not create a mess in your house. Also, it should not have parts that are hard to clean. • The theme- You should observe your kids to learn their interests. This will help you find a product that will entertain them for a long time. • The design- Your play kit should be open-ended enough to encourage creativity. • The quantity of included- If you don’t want to purchase one separately, you should buy a kit with enough pieces of doh. • User reviews- You should also consider the reviews left by previous customers. These will give you insight into the pros and cons of the product. This Modeling doh Compound comes in 36 assorted colours. All the primary colours and the shades in between are included in the set. The product is non-toxic and is ideal for children over 2 years. A notable advantage of this set is its durability. You can expect it to last for months. When it starts to get dry, you can consider adding some water and sealing the compound for some time. Normally, the water will seep into the compound naturally. However, the process will be more effective if you just use your hands to distribute the water. If you accidentally end up with a lot of extra water, you can use a paper towel to wick away the water. The Max the Cement Mixer set comes with a toy truck and some parts that attach to the truck. This truck is adequately functional. It also comes with a roller attachment which can be used to create flat road surfaces. The entire set consists of three road accessories and five cans of modeling compound. This tool should be used by kids who are above the age of three. Younger children can easily squash the design as they try to press the truck in and out of the truck. At the back of the truck, there is a small space that pours out the like a real cement mixer. Unfortunately, this space is too small to provide sufficient storage. The Fun Factory comes with four cans of glow in the dark and one fun factory set. The factory set includes two cans of the modeling compound, two rails, and a fun factory tool. A notable feature of this set is the fact that it glows in the dark. You can have some extra fun by placing your creations in the dark and watching them glow. You will also enjoy making different shapes with the attachable rails. To make these shapes, you will just need to push the lever on the rails. This game set is used to create different pretend foods. It comes with a toy grill and 17 different accessories. The grill has veggie molds that can be used to create kebabs. To roast your kebabs, you will have to place it on a stick and spin the kebab on the grill. The set can be used to make many other pretend foods, including burgers, fries, and hot dogs. You can shape the foods by squeezing them from the side of the grill. The doh itself is placed in 2-ounce cans. Five colours will be provided, and this is more than enough for your kids to enjoy fun cookout play sessions. This pretend work desk is ideal for messy children. With the desk, they will be able to work without making your couch dirty. The product has an inside compartment that can hold some small cans and accessories. The set includes a work desk, 12 built-in shape molds, two pattern molds, an extruder tool with a stencil bar, six play doh cutters, and a shape knife. The desk is designed to close tightly, and it also has a handle for ease of transportation. You should note that the set does not come with a modeling compound. These compounds will have to be purchased separately. The Work Desk is ideal for classrooms and daycare. Rex the Chomper is a T-Rex toy that has a funny design. Your children will enjoy creating a long tongue for the T-Rex. With the toy, they will also be able to grow some scales. You can play with the tail of the T-Rex to activate the jaw-chomping action of the dinosaur. The tail can also be used to grow the scales and teeth. The Rex the Chomper set also includes a volcano which can be used to create lava, foliage, and fossils. To set off the lava, you will just need to press down on the volcano. The lava, foliage, and fossils have beautiful colours. The only problem with this product is the fact that it is very hard to clean. This set is used to make creative pretend cakes. The cakes can be shaped with the five cutters or an oven. You will also receive some decorating tools which can be used to add frosting to your cakes. It has a palette of five colours, and this gives your kids the chance to create almost all designs they can imagine. For extra fun, the package includes some confetti compounds. These confetti compounds are mixed into three of the colours provided. When you finish making and decorating the cake, you can show it off to your friends in the covered display dome or in the plates and utensils provided. You may have to help your children make the frosting as it is quite challenging to use. With some practise, they should be able to make and decorate the cakes on their own. The Rapunzel Salon features the Disney princess, Rapunzel. With this set, you will enjoy creating different hairstyles for the princess. To grow her hair, you have to add the doh compound and crank the lever. Try and lengthen her hair in order to create the legendary long braids of Rapunzel. You can also make curls with the molding brush that is included in the package. The styling head base is made with some molds which you can use to make the curls. Your purchase will also include a Pascal braid roller, flowers, and bowls, and these can all be used to make braids. There are four doh colours included in the package, and they include sparkle compounds. With this product, you will be able to make many different styles of pizza. The package includes a pizza pan, a box of pizza, a cheese grater, a pizza server, a plastic knife, a plastic fork, a plate, a rolling cutter, a half mold paddle, and five cans of brand molding compound. In addition to pizza, you can make spaghetti and mozzarella with this set. You can also make wacky toppings with the pizza paddle since it is designed with many half molds. The product is ideal for children of age 3 or older. The Doctor Drill n Fill Set includes a model of a mouth, some tweezers, five small containers of doh, a mirror, a toothbrush, a brace stamp, a drill, and a tooth mould. The drill runs on batteries. It is mainly used to create cavities and braces, so not all kids will necessarily need it. This set should not be used by very young children as they can easily injure themselves. Also, the head is not designed to withstand rough usage. Make sure you advise your kids to handle it with care as the hinges can snap. The Doctor Drill n Fill Set can be used to teach kids how to take care of their own teeth. If your kids like to play in the kitchen, you can get them this toy. It is used to make a variety of breakfast meals, including sausages, bacon, and eggs. The product comes with doh so you will not need to purchase anything separately. You should note that this product can create a big mess on your table. You can limit the mess created by covering the table with a cloth. The package includes a stovetop, but it does not make any noise when you prepare your food. Your kids will still have a blast playing with it despite the lack of a cooking sound. What are the Educational Benefits of Playing with Doh? • It improves social skills- Engaging children in collective activities can give them a chance to learn how to communicate and interact with other people. In the process, they will also grow their vocabulary. • It helps your children explore their creativity- the doh set can be used to create almost anything imaginable. Make sure you buy a product that is open-ended as these will give your children the chance to create a wide variety of items. • It improves motor skills- Children have to use their hands and minds to create the various models. They will be forced to create products that fit the designs provided, and this will help them improve their motor skills. 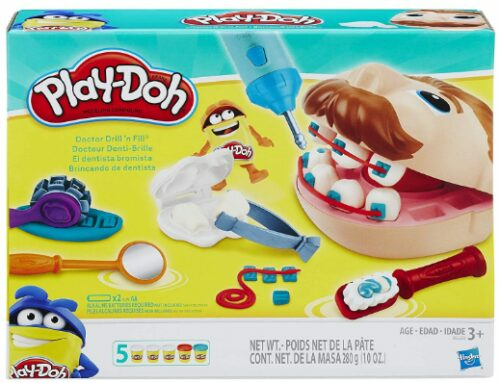 What Kind of Play Doh Set Will Interest my Child? • What makes your child laugh or smile? • What grabs and maintains his attention? • What does your child like to do often? It is important to let your child lead so that you can see what he naturally likes to do. Don’t be tempted to impose toy sets that you want him to enjoy. • Ease of cleaning- It is important to choose a product which is easy to clean. Otherwise, you will spend long periods cleaning up the toys. Also, we considered how messy the toys are. Most of the products on this list will not make your couch or table dirty. • The accessories- We also chose sets that had many accessories as these give the child more opportunities to come up with unique designs. Such toys are also generally more entertaining to play with. • The colours- Children will be more engaged if they can make elements in different colours. • Safety- Play doh sets are meant for young children. This is why most of the items on this list have accessories that are made of plastic. Once the play session is over, you will need to first pick up the dry pieces of doh from the surface. These can be handpicked easily. After that, you can use a larger piece of wet doh to pick up the other small wet pieces from the carpet or playing surface. You can do this by gently pressing the larger piece against the smaller ones. The pieces will stick to the larger piece, and you can then lift them off the carpet. Some pieces may still remain on the floor, but you should not clean them off with water as they will get absorbed into the surface. Instead, wait for all the pieces to dry and brush them off. The doh compounds you collect should be stored in a tightly closed can. If you leave the can open, the doh will dry up and will be unusable. It may be useful to vacuum the carpet after this process. You can consider engaging your child in the cleaning process. Is Play Doh Safe for All Children to Use? Non-toxic and generally safe for young children. However, if your child is under 2 years, they may swallow the parts and will generally have a hard time playing with the tools. You should also consider the accessories included in the package. Some accessories are dangerous for young children as they can cause injuries. Ideally, you should go for products with plastic accessories. Items like drills are unsuitable for younger children. If you choose to go for products with metallic accessories, you should always monitor your children as they play with the products. It is important to note that play doh toys are not suitable for children with wheat allergies. Can I Make More Doh to use with the Accessories? You will need a large bowl to mix together the flour, cream of tartar, and salt. You can then add some water, oil and the food colouring. If you intend to make different colours, you can add the food colouring later. You can then cook the mixture over medium heat. Make sure you stir as the mixture cooks. The dough should thicken and settle into a ball. When this happens, you should allow it to cool and then knead it. At this point, you will be able to split it into several balls. You can then add the food colouring.